Mary Dann – McNamee M.A. 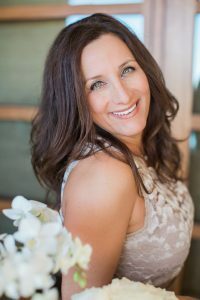 As one of the most sought-after event coordinators in Southern California, Mary Dann-McNamee and her team of wedding and party coordinators have been responsible for detailed event planning and creative party consultation to many corporations and families throughout the country since 1991. From intimate weddings to extravagant upscale affairs, Mary and her team are known for their commitment to surpass the expectations of their clients expectations, of which include many of Hollywood elite. Mary’s passion for the industry has allowed her to expand her consulting services both on-air and in written contribution to many well-known networks and publications including: Inside Wedding magazine, Ceremony magazine, Style Networks Whose Wedding Is It Anyway and Married Away, WE Networks Platinum Wedding and a special segments of Top Ten Wedding Destinations. As a former luxury hotel Catering Sales Manager and Corporate Group Sales Manager for The Ritz-Carlton Hotel Company, Mary became experienced in negotiations, event management and hospitality. Her hotel experience helped cultivated long-lasting relationships with industry professionals, including some of the finest designers, photographers, hotels and entertainment specialists in the country. Mary takes pride in the continuing growth of her company and is now widely regarded as a high-profile business. Mary believes that it is her job to make her client’s dreams come true, so more than just finding the perfect location for a wedding, she makes it a priority to get to know who she is working with to make the process as easy and enjoyable as possible. Mary attributes her calming and creative nature to her other passion she holds a Masters Degree in Clinical Psychology with an emphasis in Marriage and Family Therapy. Her work with individuals and couples strengthens her listening skills, mediation ability and creative vision planning ability. Mary has planned weddings for designers, writers, attorneys, catering directors, and for corporations. Some of these include: Melveny & Myers, Sony Music, Vogue Magazine, IMG, Nautica, Cloudbreak Entertainment and Pro Athletic Teams, such as Kobe Bryant, Austin Croshere and Malcolm Johnson. Coupling her therapy degree and extensive experience in the wedding industry, Mary offers advice and guidance to wedding planners throughout the country through career counseling and a 3-day mentorship program (a chance to shadow Mary as she produces a fabulous celebration). In January 2008,Mary launched gifts and stationery on her website which includes The Mary Dann Collection: Gratitude Notes and her custom created Wedding Wands. These items can be purchased on her website along with her inspirational DVDs: The Path of the Wedding Planner and The Balanced Planner. Mary published her first book Wedding Wisdom filled with tips, insights, forms and photographs for planning a perfect wedding for yourself or clients. She presents educational seminars to wedding planners across the country, and inspiring tips for brides. You can email Mary at m@marydann.com or find her on twitter @marydann.